Anyway this weeks polish of the week is China Glaze‘s Def Defying. Take a look at what I did with it. It is such a stunning green, I wore it a bit by itself and it was on my toes. I got loads of comments about it. I smudged it just as I started to take photos *stamps foot*. This is Nfu Oh 36 over top. NYX‘s Emerald Forest looks kinda cool over this green but sort of overshadows it a little bit. I think this would look better as a accent or even a gradient over Def Defying. 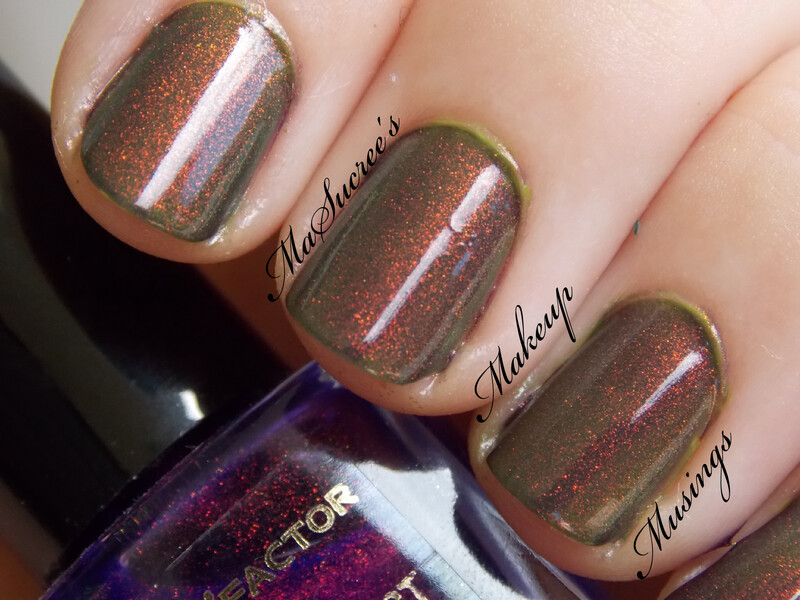 Despite the horrendous photos of Max Factor Fantasy Fire over Def Defying it came out amaaaaaazing! So I enjoyed my week with green nail polish and look forward to having a go with next week’s polish.